Designed with portability in mind. this instrument gives users freedom to measure grain in-field, at grain storage sites and at grain processing locations. It is equipped with GPS enabling point specific sampling to generate protein maps on-the-go, this enables you to make informed harvesting and subsequent binning decisions. GPS – equipped with a GPS so you can create protein maps of your fields. Moisture testing in ground wheat using the optional Moisture Module allows grain traders to use correct moisture value when performing Falling Number analysis. This improves accuracy of Falling Number results. 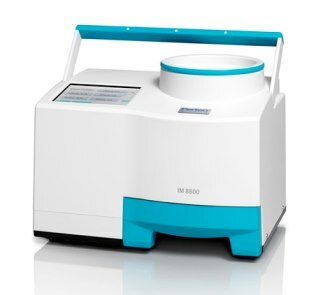 NIR grain analyzer based on scanning grating transmittance technology. 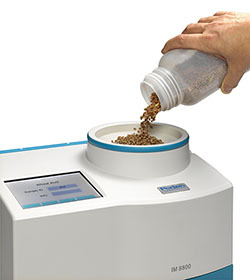 Analysis of moisture, protein, fat and more in various grains and oilseeds. NIR grain analyzer based on scanning grating transmittance technology, with integrated Specific Weight module for simulatenous analysis of HLW/TW and NIR parameters (moisture, protein, fat etc) in various grains and oilseeds.